Amaechi Behind Secret Plot To Remove CJN Onnoghen? According to Mr. Nyesome Wike, Rivers State Governor, his former boss, Minister of Transportation, Rotimi Amaechi, was behind plots to remove Walter Onnoghen, embattled Chief Justice of Nigeria. What is the connection between the CJN, Wike and Amaechi? 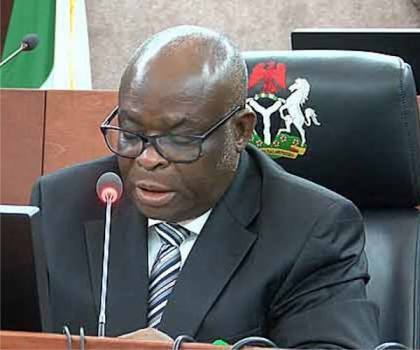 Onnoghen is accused for allegedly omitting to declare his assets and illegally operating five domiciliary accounts in various foreign currencies. Later a Federal High Court sitting in Abuja halted the arraignment of the jurist. Naming the minister as the arrow head of the plot, Governor Wike said the meeting where the plot was hatch was held in Abuja. 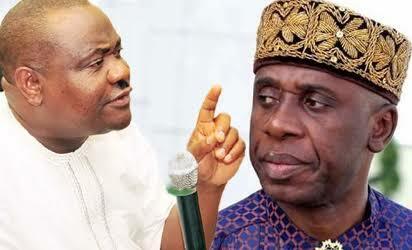 The governor said the plot by Amaechi to destroy the nation’s judiciary will finally consume the minister. There is no reaction from Amaechi at the time of this report.